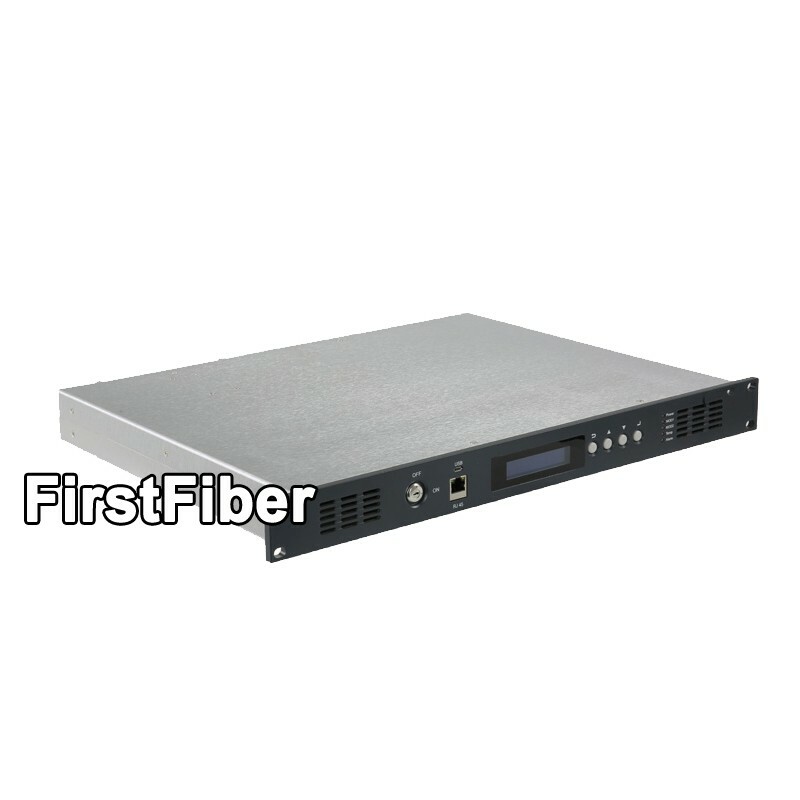 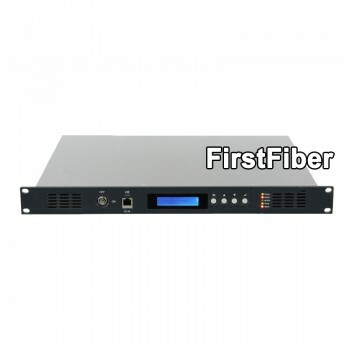 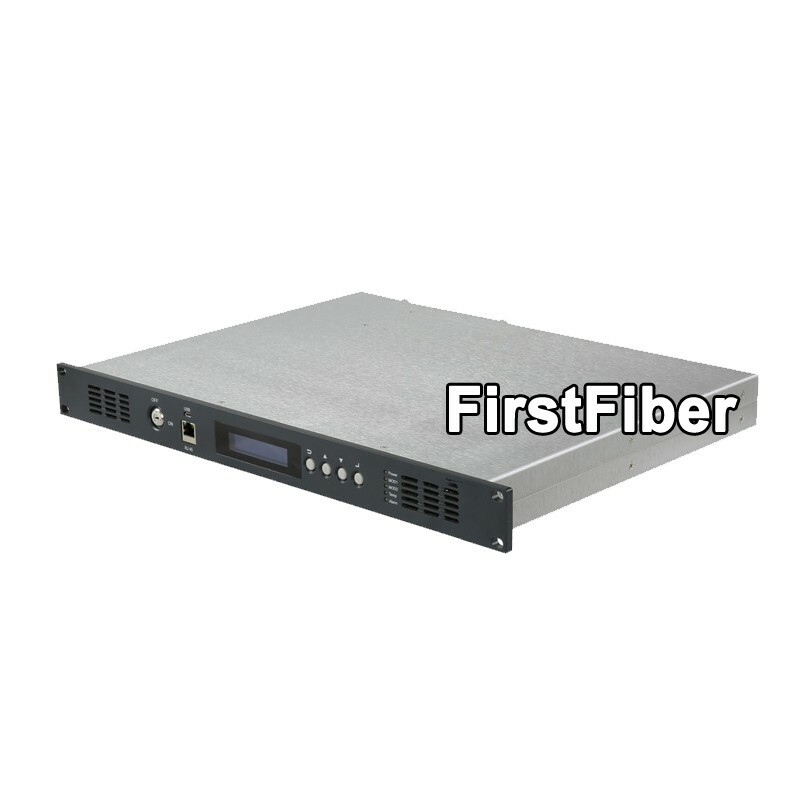 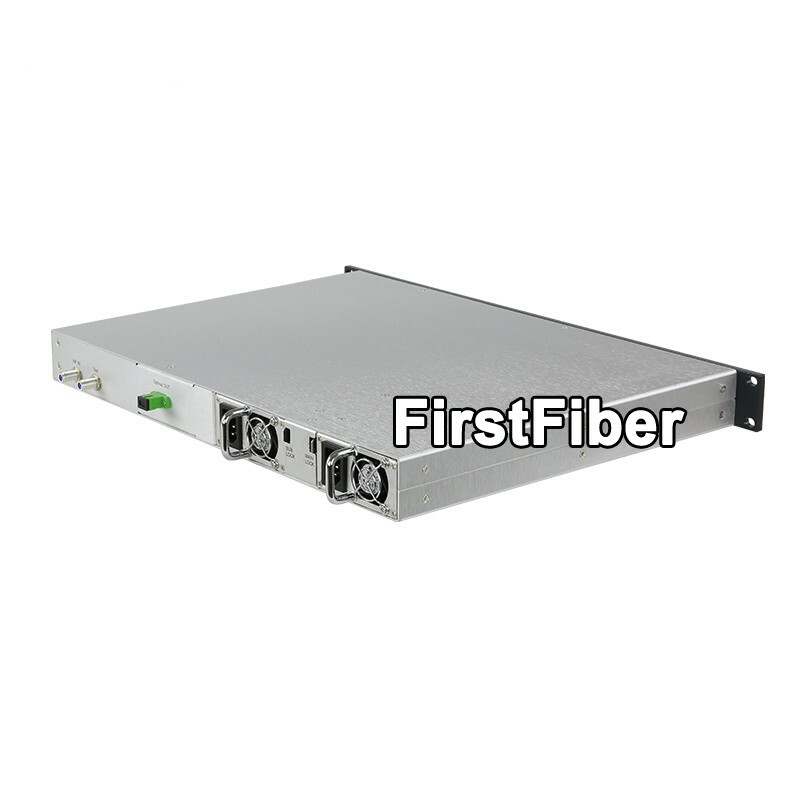 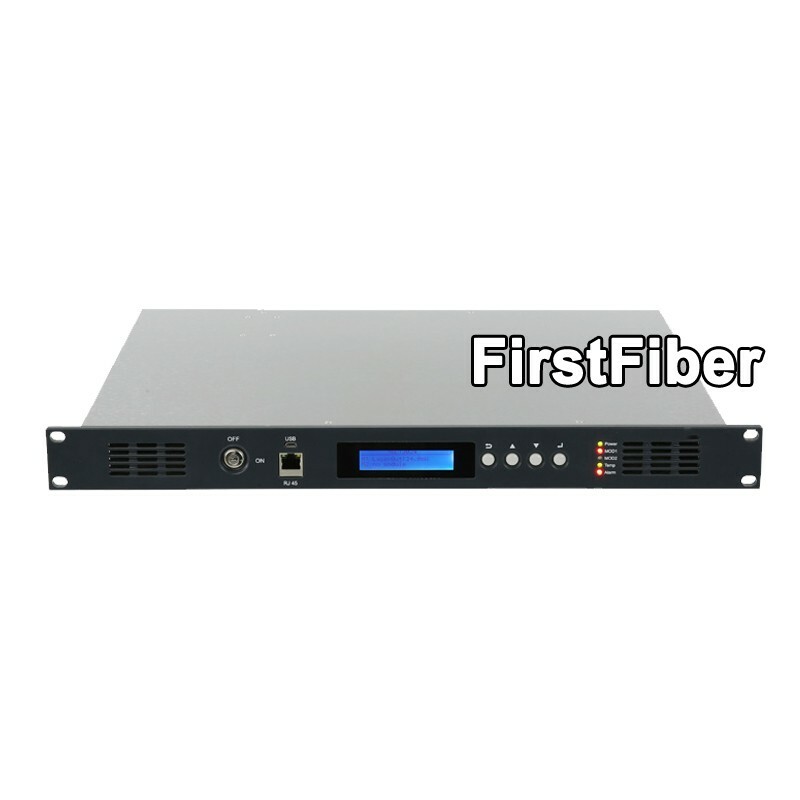 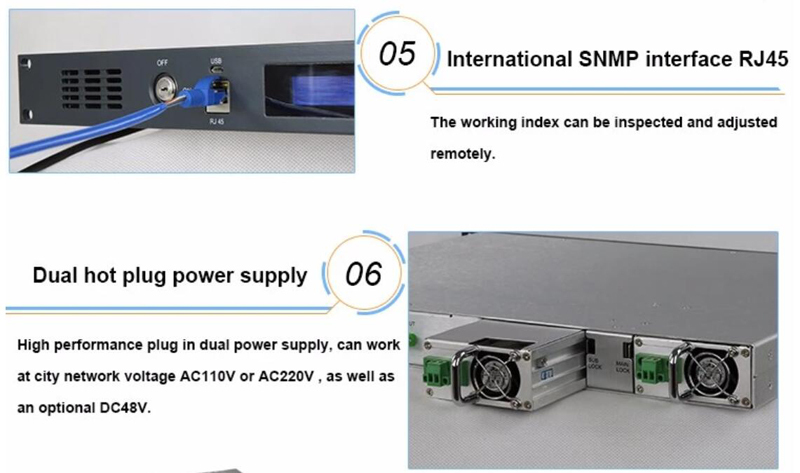 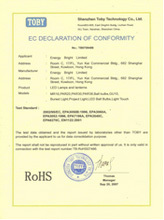 1310nm optical transmitter is designed according to the telecommunication standard,converting the CATV rf amplitude signal into 1310nm optical signalthen through single mode optical fiber to the optical node in HFC network,maily used for TV signal,digital TV signal.telephone voice signal and data signal long distance transmission. 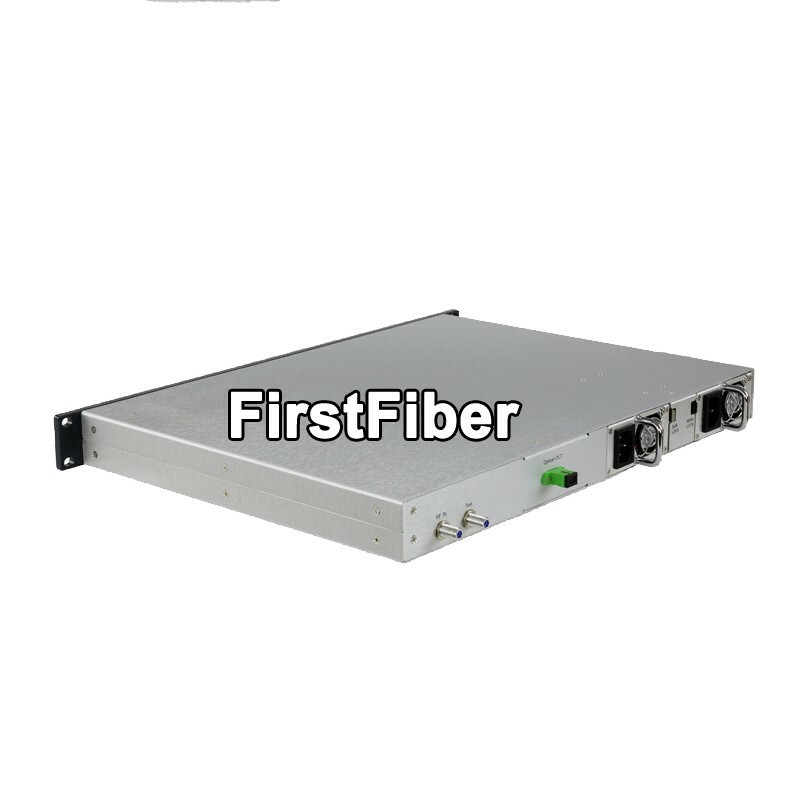 1310nm optical transmitter is equipped with reliable stable optical output power circuit and pump laser thermoelectric refrigerator temperature control circuit to ensuer the best performance of the equipment and expand the laser span.With professional heat dissipation structure design,intelligent temperature control fan and low power consumption make it to be the ideal choice for building the large and medium-sized optical transmission network. 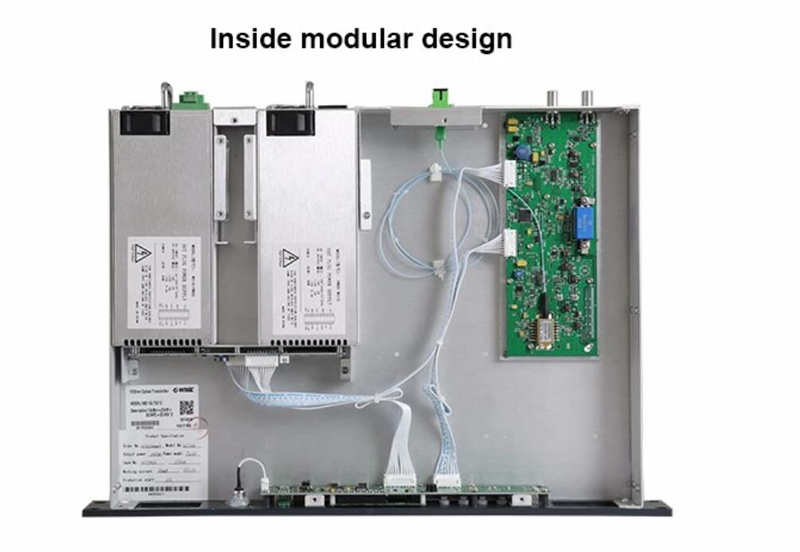 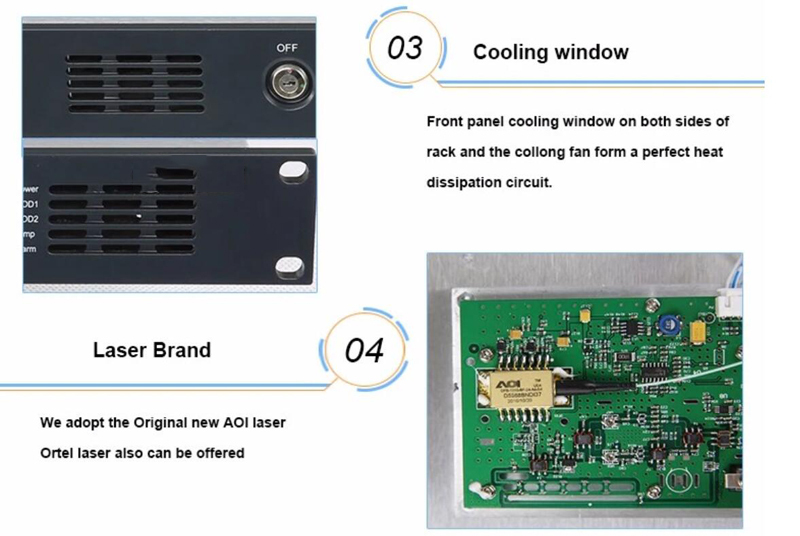 - Laserautomatictemperature stabilization circuit (ATC) and optical power output stabilization circuit (APC), ensurethe laserworking withoptimal performance. 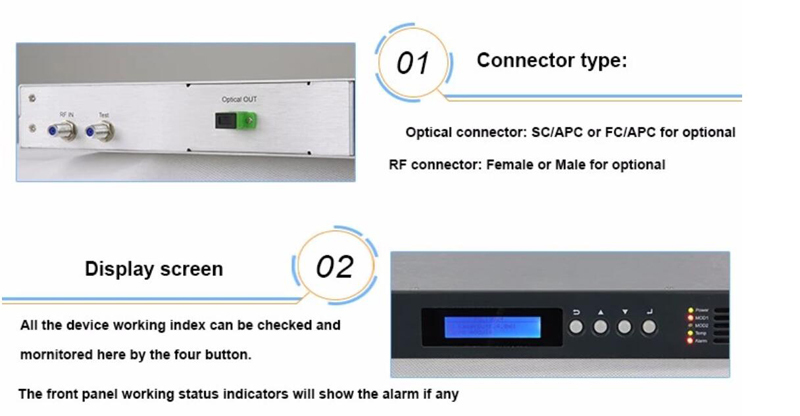 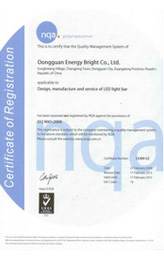 Note: The above technical parameters are in accordance with the technical requirements and methods of measurement GY / T 143-2000 predetermined measured.